The Quran informs us that Muhammad’s ONLY miracle was the Quranic revelations. On what basis do the Hadiths (traditions about Muhammad) invent an abundance of other so called miracles, when the Quran itself speaks of none of them? 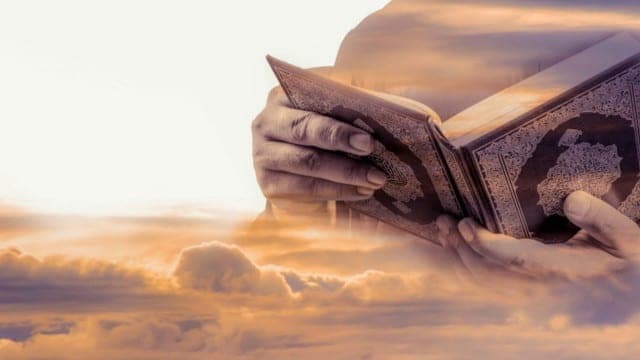 Dear readers, the most surprising ‘revelation’ in the Quran is the FACT that it does not contain a single report of any miracle achieved by Muhammad. On the contrary, in several verses – more than twenty of them – they deny him the ability to perform any, just to prove either the existence of Allah or to impress the pagans so that they may convert. All these verses assert only three things: that Muhammad was human, that he was a warner (munthir) and later as the messenger (rassool) of Allah. Not even once, does the Quran imply that Muhammad was a MIRACLE WORKER. In fact, the Arabic word for Miracles ‘Mu’jizat or A’joubat’, are NOT mentioned at all in Muhammad’s Quran. Al An’am 6: 50 Say: “I tell you not that with me are the treasures of Allah nor do I know what is hidden [a’lamu al ghaiba] nor do I tell you I am an angel [malak]. I but follow what is revealed to me.” Say: “Can the blind be held equal to the seeing?” Will ye then consider not? This verse explains very clearly the function of Muhammad: he is a warner (munthir) and definitely not a miracle worker. The demand by his own tribe of Quraysh for miraculous proofs is understandable both from the cultural and psychological points of view. They could not accept that a mere human being, a less than equal to their nobility, could claim such superiority as Muhammad did. They needed tangible and clear proofs that Allah was on his side as he claimed. Two of the companions of the Prophet departed from him on a dark night and were led by two lights like lamps (going in front of them from Allah as a miracle) lighting the way in front of them, and when they parted, each of them was accompanied by one of these lights till he reached their (respective) houses. The people of Mecca asked Allah’s Apostle to show them a miracle. So he showed them the moon split in two halves between which they saw the Hiram’ mountain. *** The ‘story’ of the alleged miracle of the splitting of the moon – a cosmic event of catastrophic significance – was only observed in Arabia and only by Muhammad and his entourage in Mecca. None of the great civilizations of the time were able to observe this event nor were they aware of it to report it. A man came to the Prophet on a Friday while he (the Prophet) was delivering a sermon at Medina, and said, “There is lack of rain, so please invoke your Lord to bless us with the rain.” The Prophet looked at the sky when no cloud could be detected. Then he invoked Allah for rain. Clouds started gathering together and it rained till the Medina valleys started flowing with water. It continued raining till the next Friday. Then that man (or some other man) stood up while the Prophet was delivering the Friday sermon, and said, “We are drowned; Please invoke your Lord to withhold it (rain) from us.” The Prophet smiled and said twice or thrice, “O Allah! Please let it rain round about us and not upon us” The clouds started dispersing over Medina to the right and to the left, and it rained round about Medina and not upon Medina. Allah showed them (the people) the miracle of His Prophet and His response to his invocation. If the above alleged miracles did occur, the Hadiths then contradict all the verses of the Quran that deny Muhammad performing any miracles what so ever. In fact, the Quran asserts, that the only ‘miracle’ that Muhammad needed as proof to his followers, are the Quranic verses themselves. While the events of the Exodus and all the miracles that the Israelites witnessed were collective, in clear day light and night and beheld by the whole people, not a single alleged miraculous event in the life of Muhammad was witnessed by any other beside him; not his wife Khadija nor Aisha nor any of his other wives or immediate male or female followers. 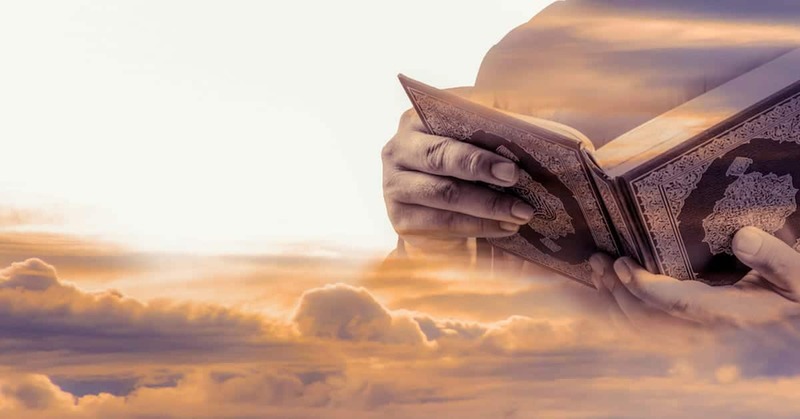 Another incredible difference is the fact that the miracles of Moses were forewarned while those of Muhammad –the Ayat/ Verses – were AFTERTHOUGHTS. For example, before any of the miracles befell Egypt, Pharaoh was warned of exactly what was going to befall his country if he refused God’s commands. In the case of Muhammad, no such forewarnings are mentioned. Almost every so called miracle performed by Muhammad, occurred in the dead of night without any other witnesses from his first encounter with the alleged angel Gabriel through to his second and subsequent encounters over a period of 23 years. Nor were there any witnesses to his alleged – physical night flight- to Jerusalem in spite of the fact that his wives denied that he ever left their side on this occasion. The same Muhammad that the Quran asserts was given no signs/miracles except the words of the Quran itself, was transformed by his followers into a man performing astounding miracles in their Hhadiths, not one of which is based on reality or fact and all of which are contradicted by the Quran. Believers/ Muslims and Unbelievers/ Kuffar/ Infidels, the more we investigate Muhammad’s Quran and Hadiths, the more we uncover OUTRIGHT LIES, DECEPTIONS, CONTORTIONS of HISTORY and SCIENCE as well as MENDACITIES that boggle the mind in their DEPRAVED indifference to LOGIC or COMMON SENSE proving again and again that it is impossible that any divinity (let alone the God of the Bible) ever revealed anything to Muhammad. In conclusion, based entirely upon the Islamic sources, Muhammad was the sole author of his Quran pretending he was receiving ‘revelations’ from Allah; the name of the supreme pagan god of Arabia centuries before Muhammad attempted to metamorphose him into the God of the Bible. Iraqi exile, Arabic speaker, scholar and author. Eager to debate any Imam or Infidel and ready to answer any question. Asserts that The Koran is not a Holy Book; it is a roadmap to total war with western civilization. I.Q. al Rassooli is among the foremost authorities in the world on the subjects of Islam. Author of Lifting the Veil - his monumental trilogy of "Lifting the Veil: The True Faces of Muhammad & Islam" should be a must read for those who really want to know the facts.